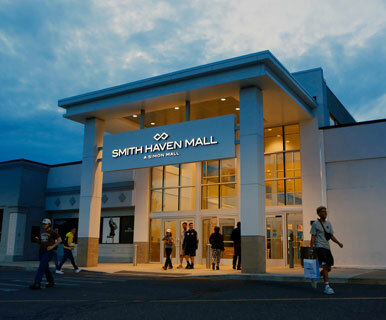 Do Business at Smith Haven Mall, a Simon Property. Visit Smith Haven Mall to meet all your shopping needs. 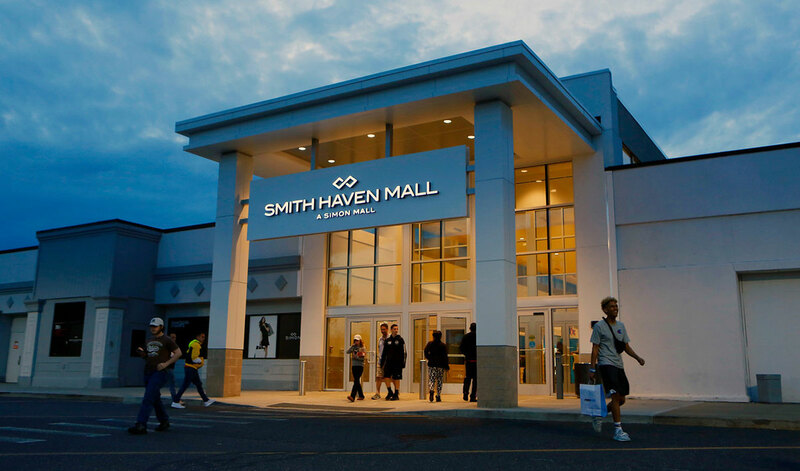 Smith Haven Mall offers more than 130 stores, including L.L.Bean, Abercrombie & Fitch, Apple, Newbury Comics, Calzedonia, Intimissimi, Forever 21, Banana Republic, Lush, Pandora, Godiva Chocolatier, Hollister, Sephora, H&M, Swarovski, Macy's, and JCPenney. Stop by the Food Court for a quick bite, or sit down and relax at PF Chang's, Bahama Breeze, Bobby's Burger Palace, The Cheesecake Factory, California Pizza Kitchen or T.G.I. Friday's.